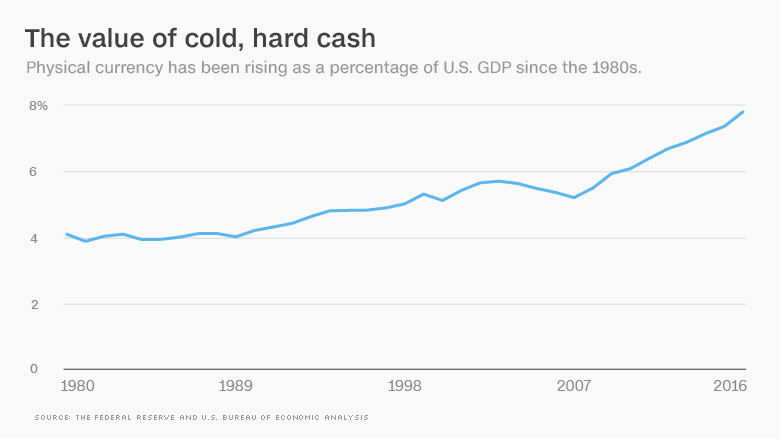 It's been called "the war on cash." Credit card companies, tech startups, and even some governments have pushed to move consumers away from carrying around a wad of bills in their pocket toward using plastic or their smartphones to make payments. Digital transactions are safer, cheaper, and more convenient, they argue. But the cash industry disagrees. And now, it's fighting back. A group of companies that make up the global supply chain for banknotes and coins came together last year to form the International Currency Association. Its membership, which costs $35,000 per year for larger companies, includes companies that make the paper for bills, the inks and holograms that are printed onto it, the machines for handling cash, and the machines for destroying it. Its mission, its website says, is "to provide a powerful and cohesive voice to keep currency a preferred payment choice." Crane Currency, the main supplier of paper for U.S. banknotes, joined in solidarity with more than two dozen companies from across the globe. "It's not really in our daily business DNA to go this route," said Tod Niedeck, Crane's corporate marketing director. "We would be a little irresponsible to not be part of ICA." Cash production isn't in trouble, exactly. Despite the increasing use of digital payments, the value of currency held by the public has actually been rising as a percentage of gross domestic product in the U.S. and Europe since the 1980s -- and particularly quickly in the past decade. 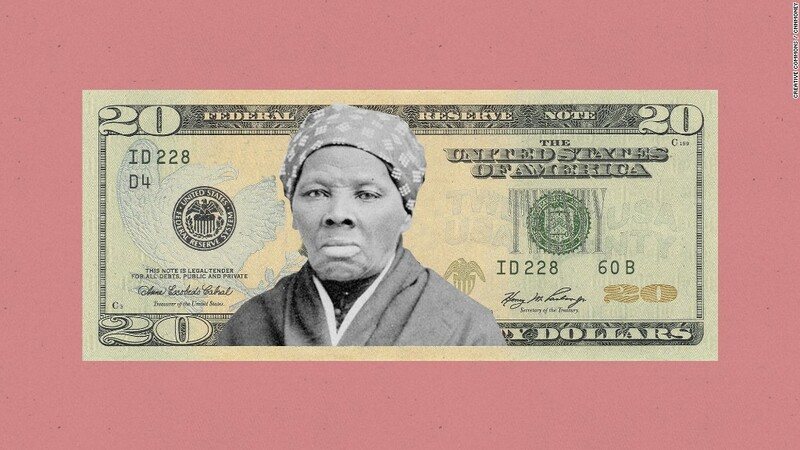 According to a 2015 survey by the Federal Reserve, Americans had an average of $59 in cash at any given time, up from $54 three years earlier. For that reason, the U.K.-based International Currency Association's director general Guillaume Lepecq said that they're operating from a position of strength — just keeping an eye on the competition. "There's a whole industry of people who are wanting to capture part of the market share of cash, because they make a profitable business out of it," Lepecq said. Companies like Visa (V) and MasterCard (MA), for example, have large public relations operations dedicated to putting out white papers casting cash as backward and digital payments as the future. Why is cash still king? The reasons for the enduring popularity of bills are not well understood, even by people who study the industry. "If consumers are using alternative forms of payment, why is there still this growing demand for cash?" says Eugenie Foster, executive director of the International Association of Currency Affairs, which includes both central banks and currency producers. Foster theorizes that the drive toward automation at banks may have created a greater need for cash, because more ATMs and self-storage cash vaults used by businesses and individuals mean more bills sitting in more locations. Others have postulated that the public is storing more savings in cash following the great recession because of a lack of confidence in the banking system and the security of electronic deposits. In addition, low interest rates have also created little incentive to put cash in banks and tourists in particular tend to carry cash to avoid international credit card fees while traveling abroad. But one explanation for cash's popularity is also a reason some say it should be made obsolete: Much of the paper money out there is at work in the underground economy. Harvard economist Kenneth Rogoff published a book last year making the case that $100 bills are now largely used for tax evasion, money laundering and bribery. "The demand in the legal economy is fading, but governments are continuing to print cash," Rogoff said. For that reason, some governments have been pulling back. Sweden banned physical currency as a means of paying for public transit years ago. Last year, India abruptly canceled its two highest-denomination notes in an effort to combat corruption. Spain and France have imposed 1,000-euro limits on cash transactions in the name of fighting terrorism. The ICA strongly objects to these moves, arguing that digital payments are just as likely to be used for illicit purposes. "Evidence shows that the terrorists essentially used anonymous prepaid cards to move money around," Lepecq said. "So we think that's a totally false argument. We're not very happy with those restrictions." Through a new website, cashmatters.org, the association also makes the case for why governments should keep cash in circulation: It's useful to have when the power goes out, for example, like it has in Puerto Rico. Plus, the 7% of Americans who don't have bank accounts depend on cash to get by. Meanwhile, the global cash industry is scrambling to come up with ways to make using currency cheaper and more seamless. "If we're not efficient, then yes, the usage of cashless forms of payment become more attractive," said Sim Bielak, the chief marketing officer of Suzohapp. The Illinois-based company makes machines that recycle cash, check out grocery customers and run coin-operated laundries, among other things. And why don't these companies just go into the business of digital payments themselves? "The cashless hardware business is very commoditized," said Bielak. "It's a very difficult business to make money."